Microsoft is aggressively promoting their latest operating system, Windows 8.1. They have even implemented a new update strategy to Windows platform. They are focusing more on the feedback to make the OS better. With Windows 8.1 they managed to bring in a lot of improvements which made Windows 8 a better platform. And 2014 is not doing any changes in the Microsoft’s new update strategy, the Redmond giant is planning to roll out Windows 8.1 Update 1 or Windows 8.1+. Still the name is not confirmed but there is a big update for Windows 8.1 on the move. This is not the official logo ! WinChina writes that Windows 8.1 + has actually been formed, and Microsoft is in full swing to start internal testing and improvement of, find and solve more Bug, test drive more hardware and software compatibility issues. 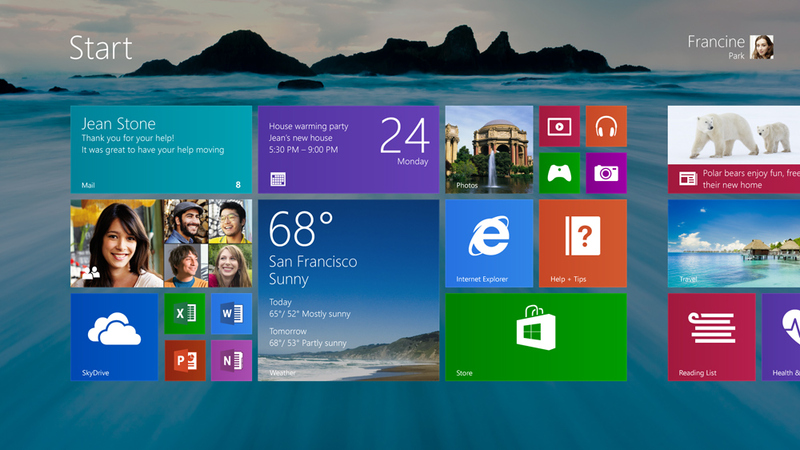 Windows 8.1 + will be completed in March, the upgrade should be open for the general public right around April. The Windows 8.1 + should be the biggest improvement on the performance of the kernel, so low-profile computer / device capable of running up to 1GHz speed is the biggest highlight of this update. So expect Windows 8.x to go more mobile with a better battery life and new features. As far as the Desktop’s concern, there seems to be no word out. It’s very clear that Microsoft is not planning Windows 8.2. They are preparing some small updates which will make Windows 8.1 faster, safer and stable. Microsoft has already started developing their next major Windows, may be Windows 9 which is expected to bring in a lot of new features to the start screen and Desktop. It might bring back the Start menu as an optional feature for Desktop users. Microsoft is of course tight lipped about the next version of Windows.